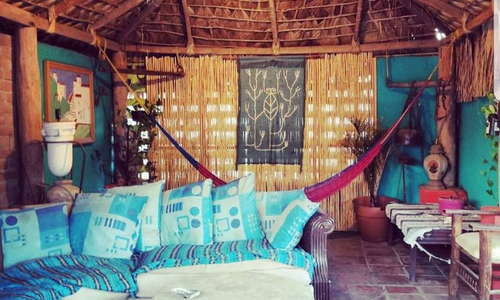 The small, comfortable rooms at this affordable palapa-roofed, cactus-lined, and jungle-like hotel have brightly painted walls with murals and stained-glass windows above the headboards. The seven rooms on the lower level have refrigerators, and the two top-floor palapa suites are playful and funky, if a little bit noisy, due to their slightly open-air construction and the hotel's close proximity to downtown Cabo's festivities. 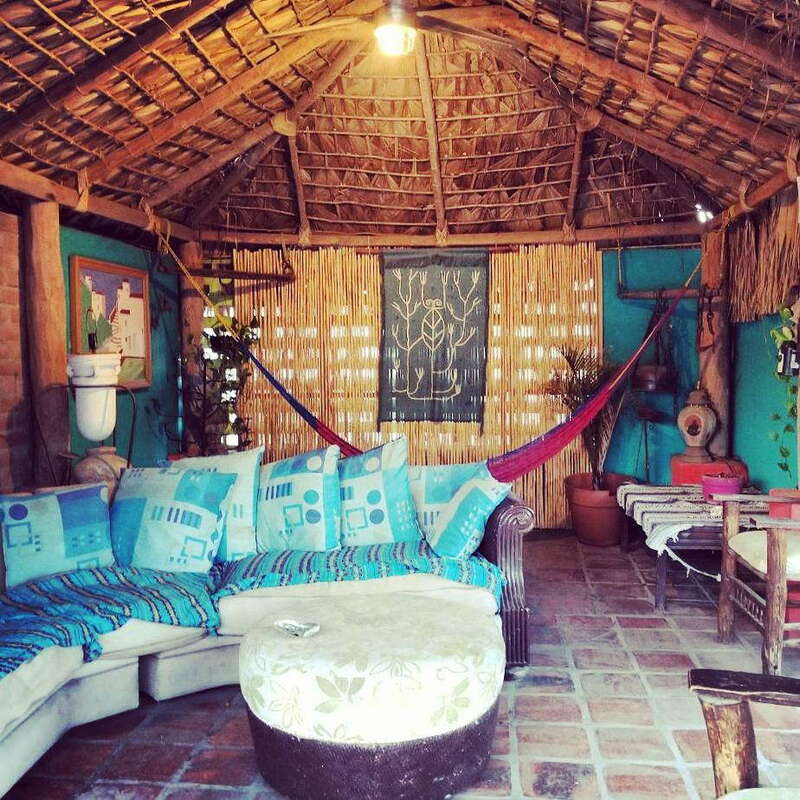 Palapa #2 has a king bed and hot tub. For a refreshing plunge, head to the rooftop deck with a tiny pool. A young, hip, international clientele frequents the Cabo Inn, with guests from Argentina, Germany, Ireland, Spain, and Sweden signing the guest book. Vividly painted murals and stained glass accents add splashes of color to the cozy and comfortable rooms. Most accommodations offer one or two twin beds. The rooftop bungalows feature a breezy, open-air feel, with shaded indoor living quarters opening directly (no doors, no walls) onto patio style terraces. Think “clean, but no frills.” A tiled shower and toilet comprise the tiny bathroom space, with a sink and mirror just outside. YOU SHOULD KNOW The bathrooms are so small in most rooms that the swinging doors can only be opened in one direction. Dusty tile floors, hanging plants, and brightly painted furnishings suggest a slightly down-at-the-heels tropical oasis. The lobby is centered around a staircase leading to the upper floors, with amenities that range from a small lending library to a communal kitchen. Laps are out of the question in the small rooftop pool, which can accommodate perhaps six to eight people. It is, however, a congenial place for conversation with fellow guests, and a favored cool down spot during the hot summer months. The Cabo Inn’s popularity stems from both its budget-friendly rates and central location. The hotel is within walking distance of virtually everything in Cabo San Luas, hence its motto: “two blocks from everything.” Buses or rental cars are required for trips to San Jose del Cabo or the Tourist Corridor. Several excellent restaurants are located nearby, including traditional Mexican cuisine specialists Los Tres Gallos (1-minute walk) and María Corona (5-minute walk). For fresh seafood, follow the locals to Mariscos Las Tres Islas (2-minute walk). The nightlife district of Cabo San Lucas is centered around Blvd. Lázaro Cárdenas (near Plaza Bonita), about six blocks from Cabo Inn. El Squid Roe is the longest running and most popular of this area’s many watering holes and dance clubs. 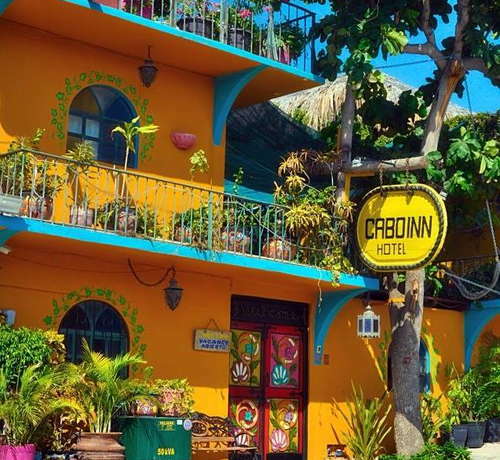 Cabo Inn as is close as Cabo San Lucas comes to hostel culture. 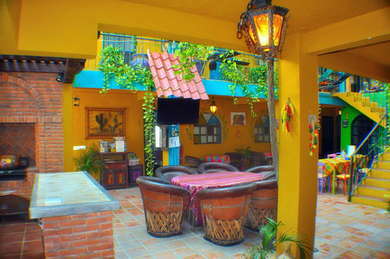 Backpackers and budget seekers have been meeting here for decades, thanks to the cheap rates and colorful atmosphere. The hotel boasts a colorful history, too: during the 1950s, it was one of the town’s first brothels.